Have you made plans for your Sunday? 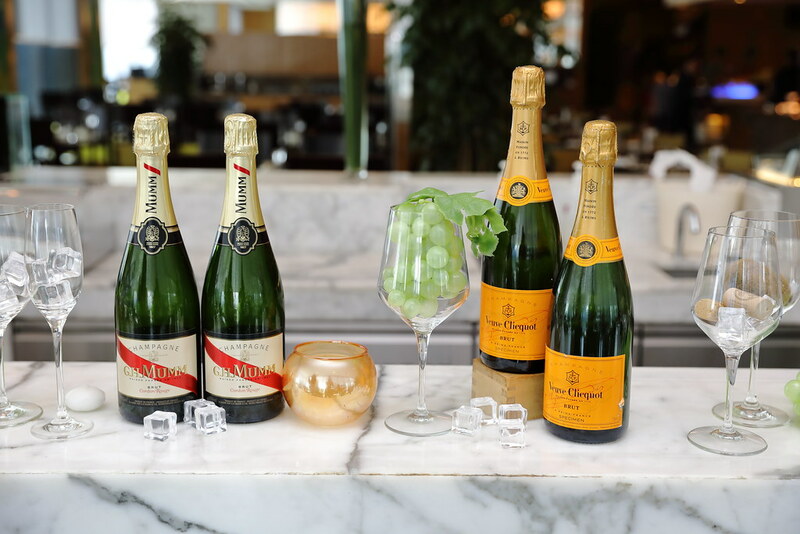 How about going for a champagne brunch with a panoramic views of Singapore's Marina Bay and the sea through the floor to ceiling windows of Seasonal Tastes, The Westin Singapore at the top of level 32. As usual I head straight to the wide variety of seafood on ice. 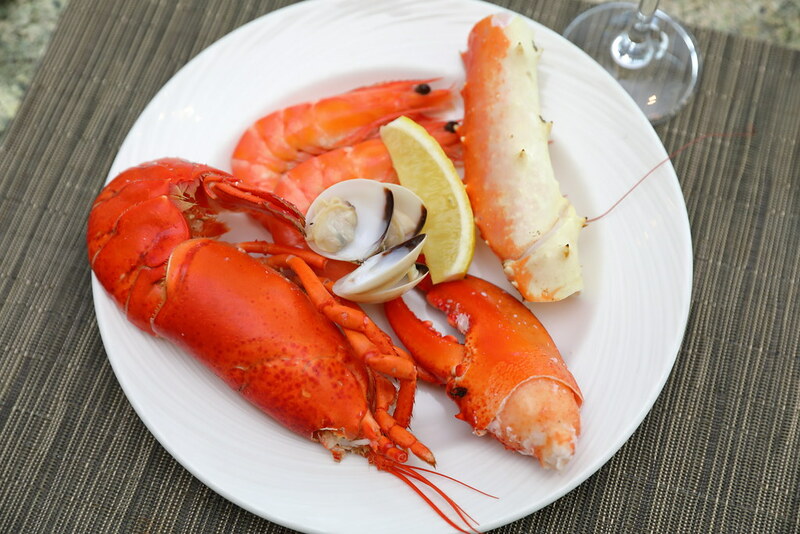 Seafood lovers will get to enjoy to their fill items such as Canadian lobsters, snow crabs, Alaskan king crab, fresh oysters, black mussels and clams. 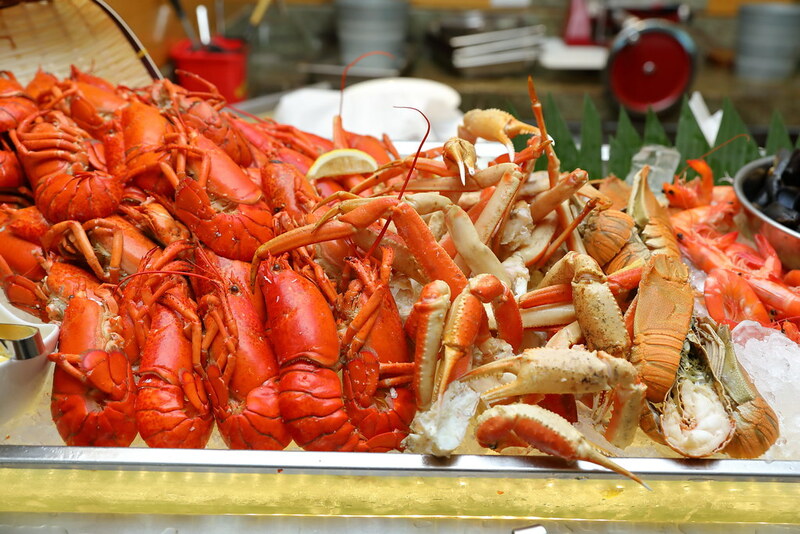 There are also a few live stations among the buffet spread such as the noodles, pastas and grilled meat section. With my limited stomach space, I made a choice between the Eastern and Western style noodles and opted for the Thai Tom Yum Kway Teow Soup. Love the variety of ingredients that came with my bowl of noodle. While the soup base has an enjoyable tangy kick but it lacked a good body to it. For meat lovers there are the carving station and grill station. 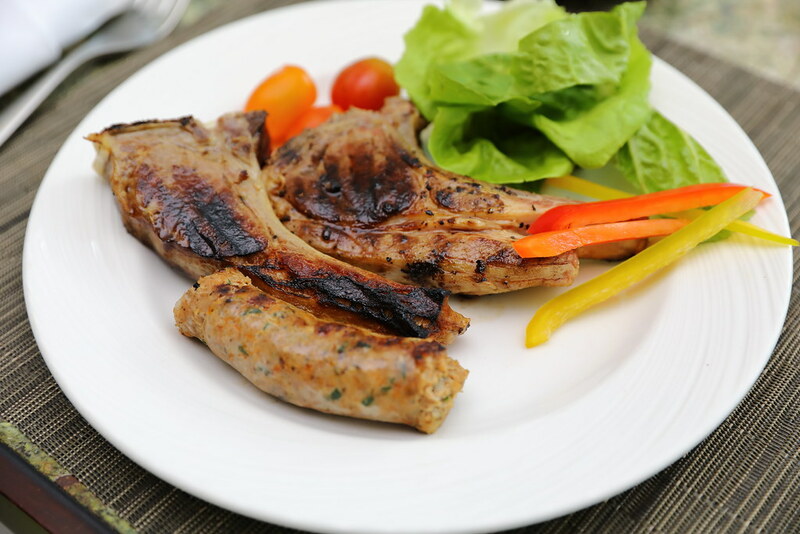 It is hard to resist having a well grilled meat with lovely smokiness. I had the Lamb Chop and Sausage to go with my glass of champagne. 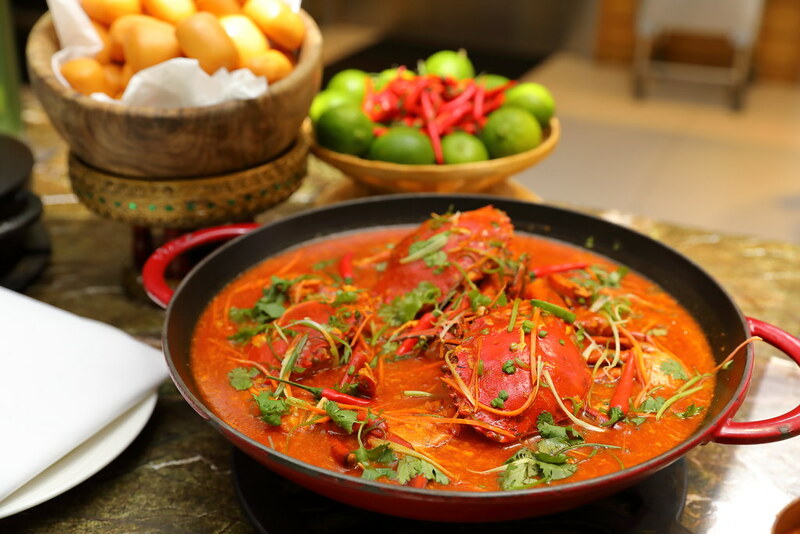 For a taste of local delicacy, there is the Chilli Crab with Mantou. 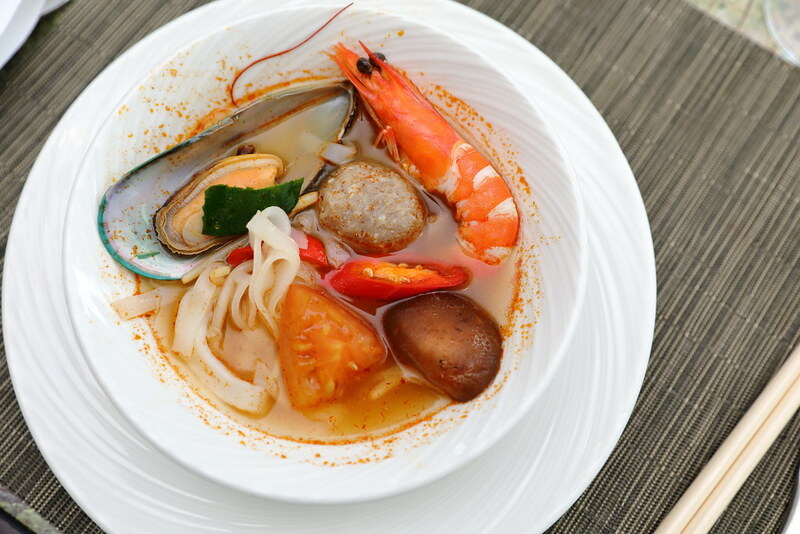 You can either have it on its own or dunk some mantou to soak up the yummy chilli crab sauce. 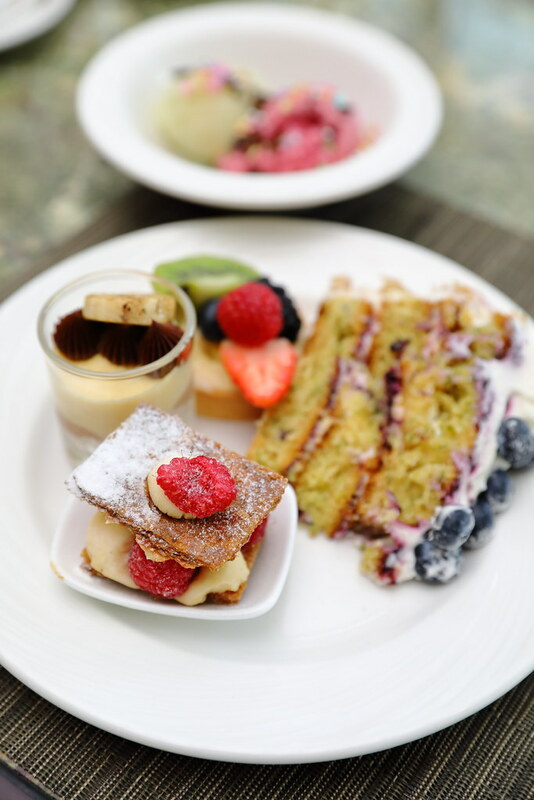 Do remember to save some space for the dessert section. 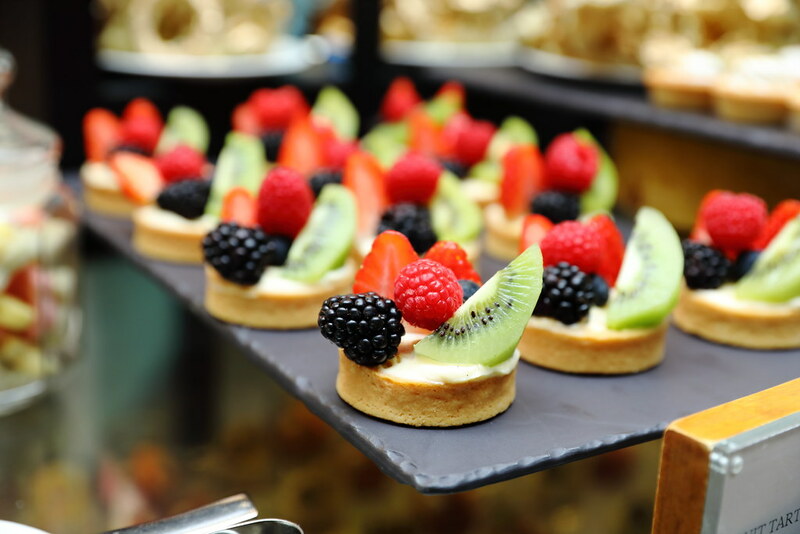 You will not be disappointed with their array of cakes and pastries. Perfect sweet ending to the great feast and washed it down with a few more glasses of champagne. 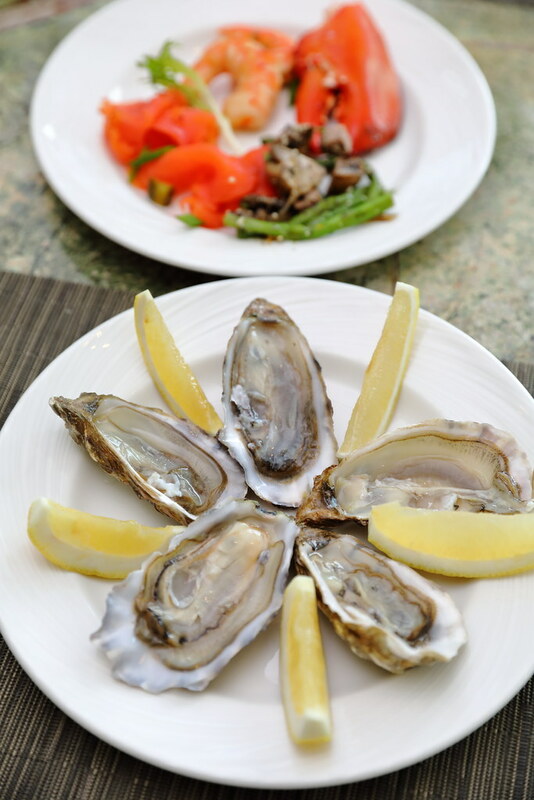 The Decadent Sunday Champagne Brunch at Seasonal Tastes, The Westin Singapore is available every Sunday from 12pm to 3pm. *Inclusive of free flow of champagne, wine, beer, selected cocktails and soft drinks. 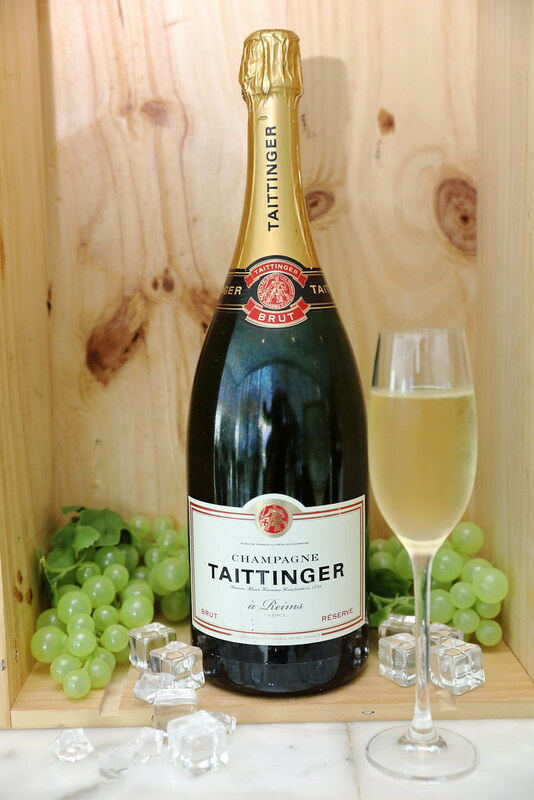 ^Inclusive of a glass of champagne, wine, beer, selected cocktail or soft drink.